Well, I've said it before, but: any lazy hair day or don't-know-what-to-do-with-my-face-day can always be saved by a turban. And some lipstick. 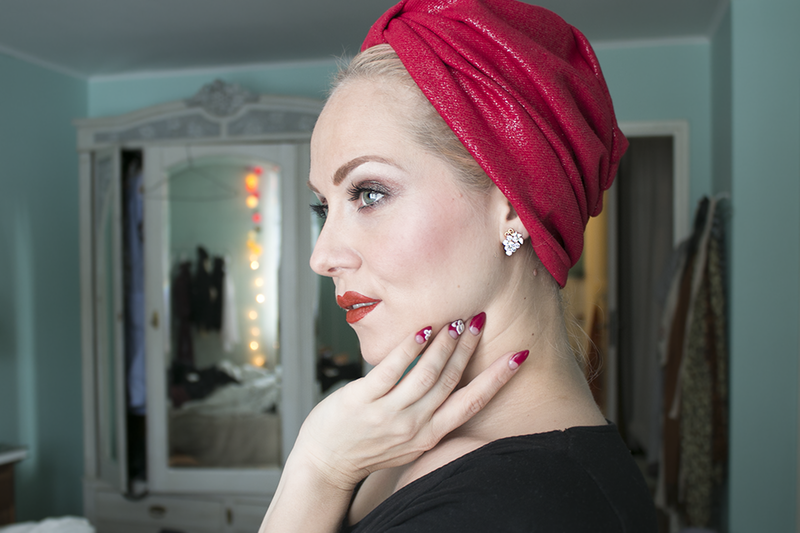 The turban is made by Rubylea, vintage inspired grape studs from Collectif.